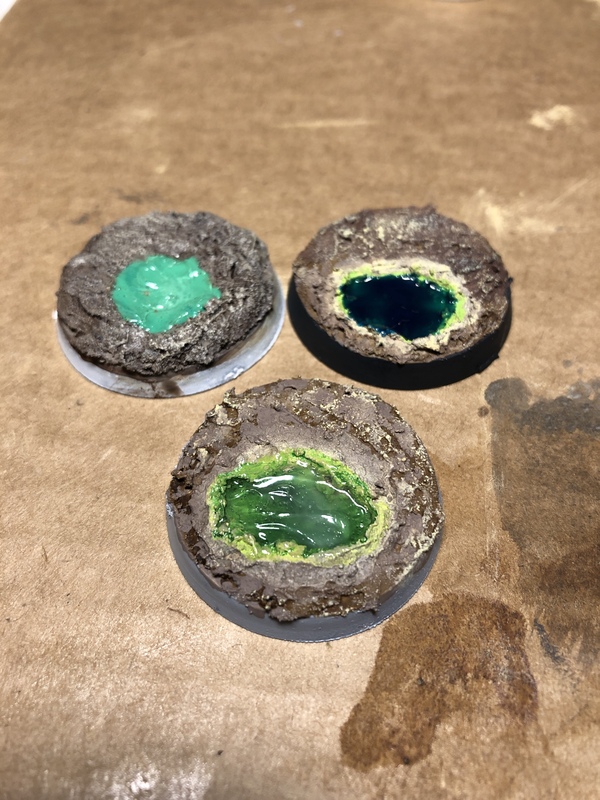 We're taking the slimiest, smelliest set piece from Solo and turning it into a beautiful base for your Legion miniatures! I think the critical reception was much more “meh” than “bad,” but I don’t think it got a fair shake in the theaters. And so it is with great pleasure that I attempt to tackle one of my favorite set pieces from the film: the spice mines of Kessel recreated in miniature base form. Fair warning, this one is a bit trickier than the others. But thankfully, through some serious trial and error I’ve got what I think is a foolproof plan of attack. 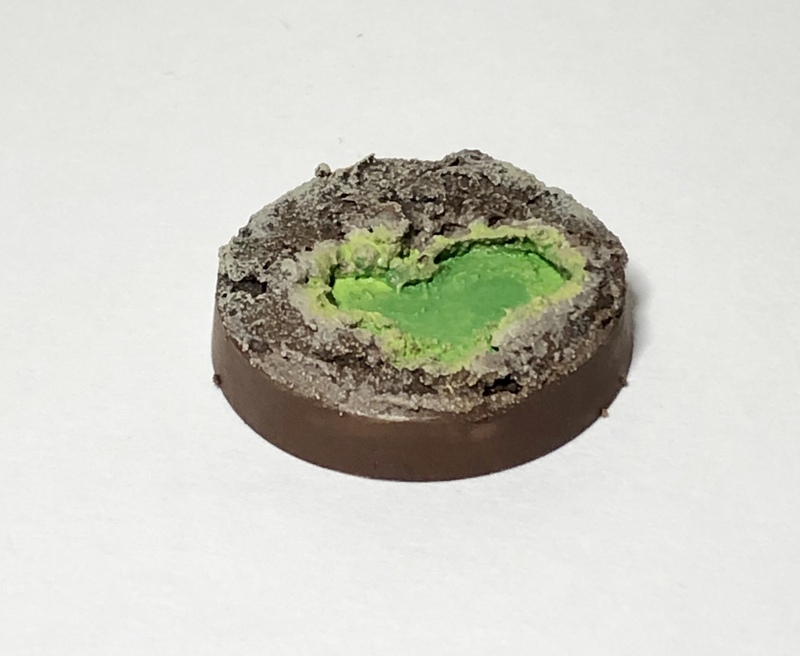 With most of my basing tutorials, you can already have the mini glued to the base. For this one, it’s important that you keep the mini unglued from the base since we’ll need to prime it separately. Begin by spooning a healthy amount of your earth texture onto the base, and spreading it around. We want it thick enough that we can spoon out a Kessoline pit in just a bit. About 45-60 minutes into the texture’s drying time, use your application tool to dig out a hole down to the base. It should be a couple of millimeters thick at most. 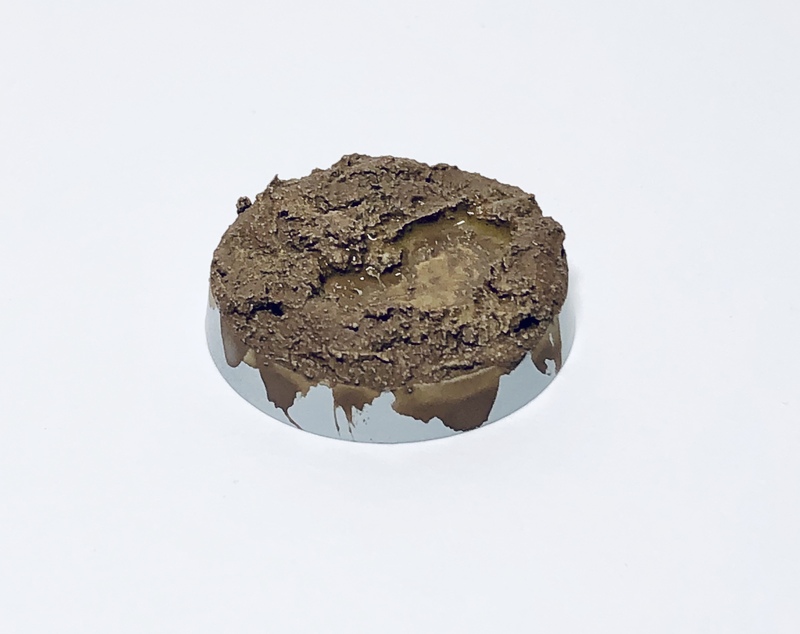 Once the whole thing is dry, prime it grey and give it a basecoat of a flat, earthy brown color. I used 3:1 Vallejo Brown and Yellow Ochre to give a bit of richness to the color and brighten it a bit, but that’s not necessary. Once the base color is dry, we’ll want to add some depth and highlights. First, wash the whole thing with a light coat of Citadel’s Agrax Earthshade (or your preferred brown wash) and let it dry. Next, drybrush the tops of the texture lightly with your favorite beige color, and then use the craft sponge to give some heavier color around the edges of the base and around the edges of the little hole you created earlier (take a look at the header photo for the effect we’re going for). Once all that is dry, mix up a nice lime green color and paint the body of the aforementioned hole, making sure to get a nice clean covering. Mix up a lighter, yellower shade and apply it towards the edges of the hole and do a very light coat up at the rim, on the surface of the texture. You should also go ahead and paint the edges of your base whatever color you want, because the last thing we’ll do now is protect the base with a matte varnish. We want to be sure to not lose the gloss of the water effects in the next step. Finally, we’re going to do two layers of Vallejo Water Effects to create the bubbling Kessoline effect. Put the first layer down, just an extremely thin coat, and once it’s dried cover it with a 1:2 wash of Seraphim Sepia and Lahiman Medium. Then, put a thicker layer of the Water Effects down on top of that and let it dry completely. Doing this gives us a bit of artificial depth which looks really nice. As a final step, feather a bit of Foam Effect around the edges and blot some lightly in the middle to create the bubbling. Less is more here, as too much will ruin the hard work you’ve put into creating the unique color of the pool. And once it’s all done, glue your mini down! 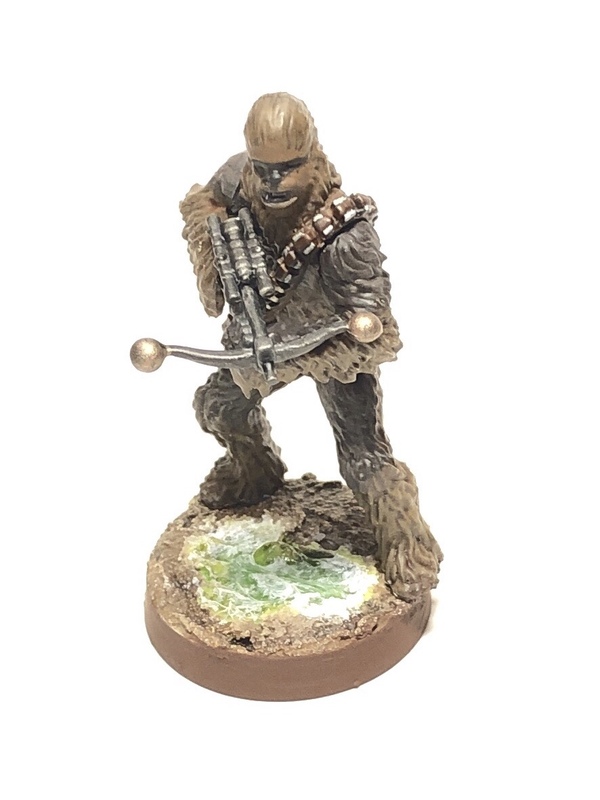 While it’s a fair bit of work, this should give you a really nice, unique base for your minis. As always, if you use this tutorial I’d love to see photos in the comments, or tag me on Facebook. Happy basing, Commanders!